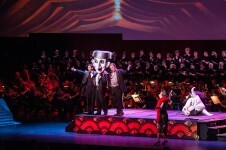 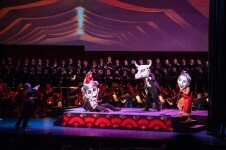 A fully staged concert presentation at the Filene Center, featuring the National Symphony Orchestra conducted by Maestro Grant Gershon. 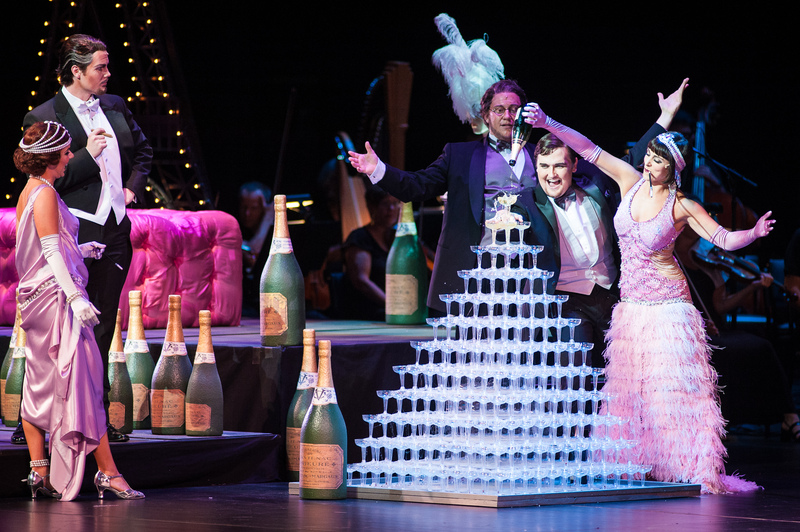 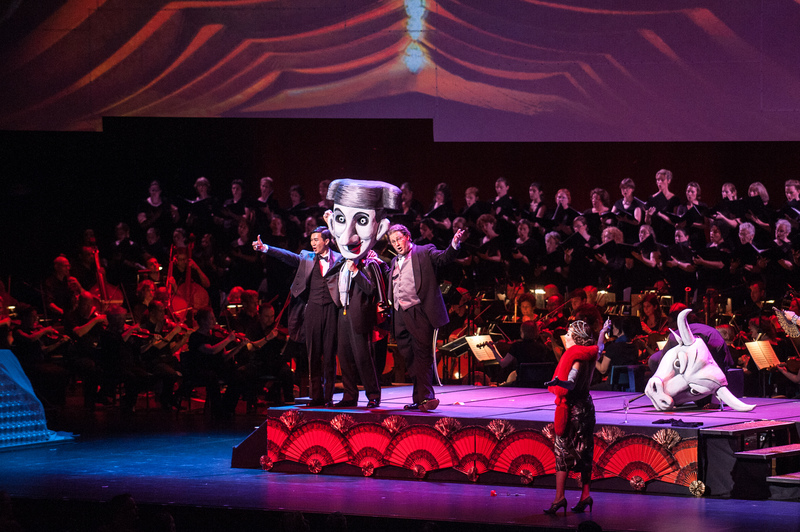 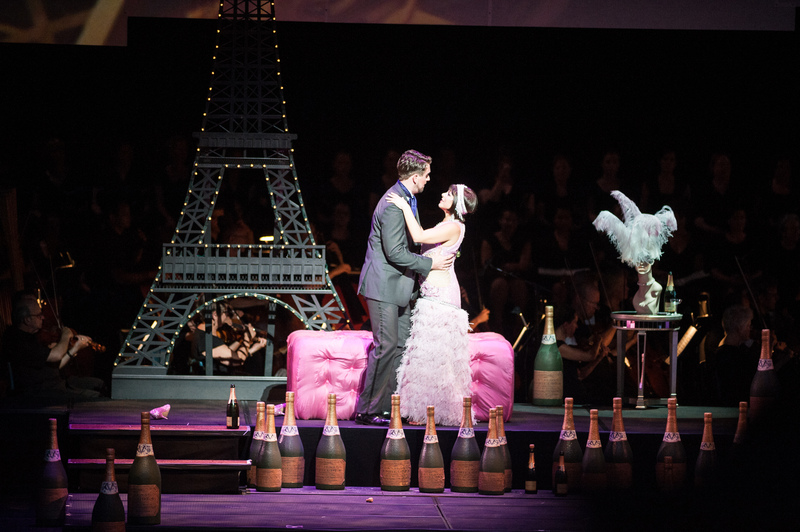 "The director, Jose Maria Condemi, demonstrated that you can update and freshen an opera without doing anything to ruffle the feathers of traditionalists. 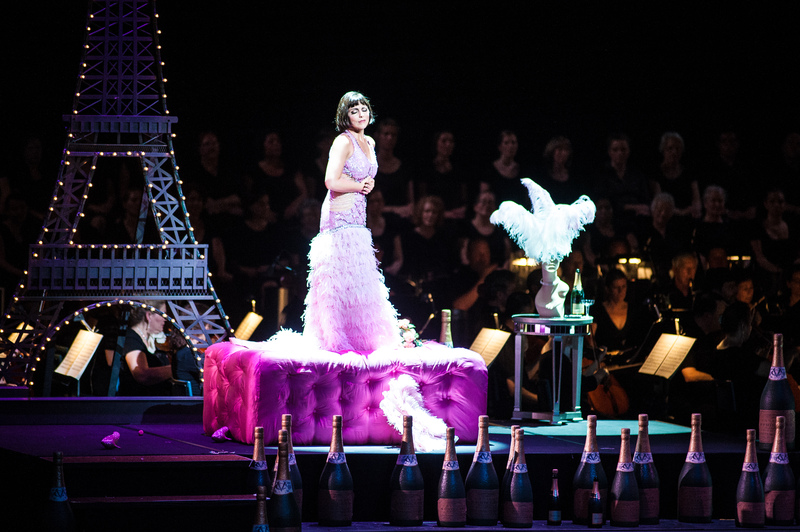 Yes, the action was moved to the 1920s, but costuming Violetta in Act I as a kind of French Sally Bowles, in sequins and ostrich feathers and kohl-rimmed eyes (Anke Lupes created clothes and sets), simply gave a slightly more contemporary spin on a timeless story"